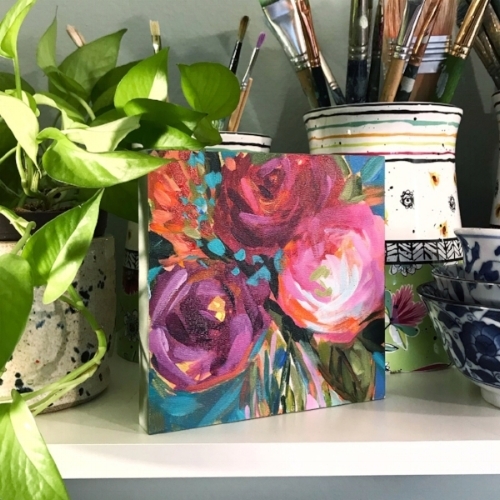 Each one is an original one-of-of-a-kind acrylic painting on a 6 X 6 X 3/4 inch archival art panel. As they become available I will post each new painting on my blog, Instagram, and my Facebook page. Based on the popularity of my 30/30 sale, if you see one you like - better grab it! Looking for a special gift for a new or upcoming bride? I am accepting commissions until December 10th for an original acrylic painting of the bride’s bouquet. I can only do a few of these in time for holiday gift-giving, so get in touch soon. For details on how I work click HERE. Or to request more information click HERE.